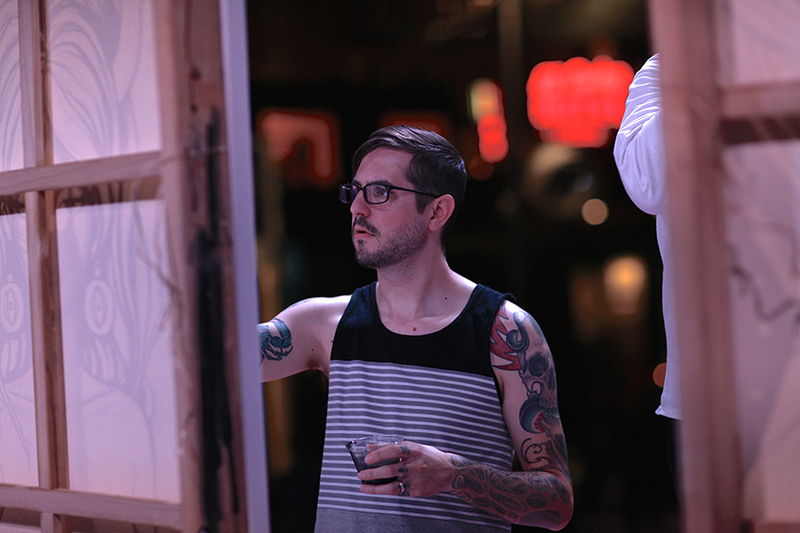 Studio 21 Tattoo Gallery is SUPER excited to announce that they have two artists advancing to the final round of the Las Vegas Secret Walls event! 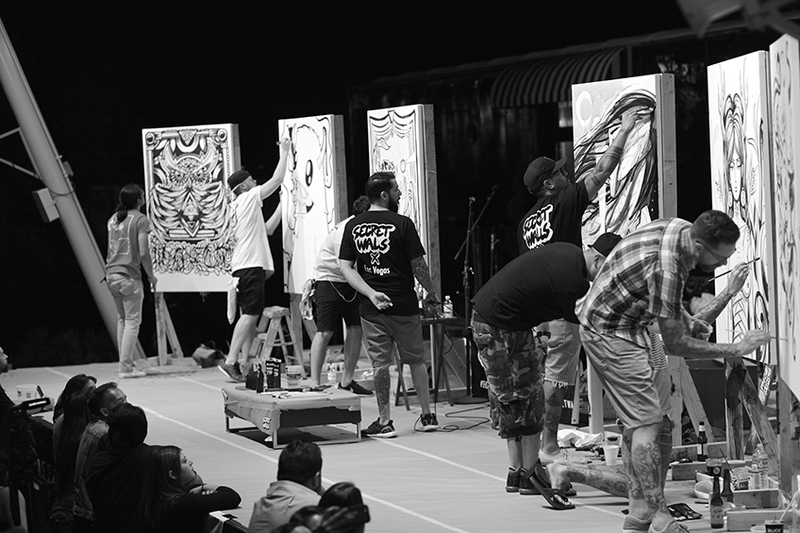 Live painting in front of a sea of people with only 90 minutes to bring something crowd pleasing to the canvas, we have somehow managed to have 2 out of 3 of the artists in THE FINAL ROUND!! The Studio 21 Tattoo team has been having a blast with this event and can’t thank you guys enough for coming out and supporting. 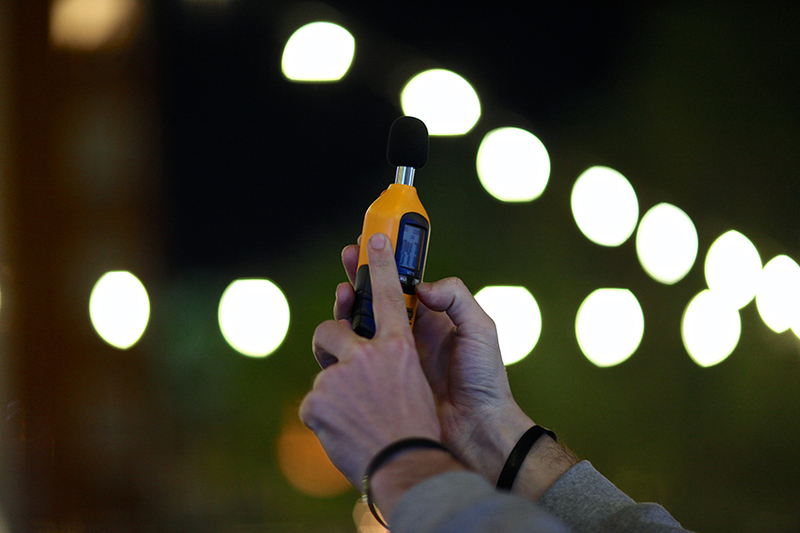 If you’ve had the chance to come to the party, you understand how not only is it fun but challenging for the guys. 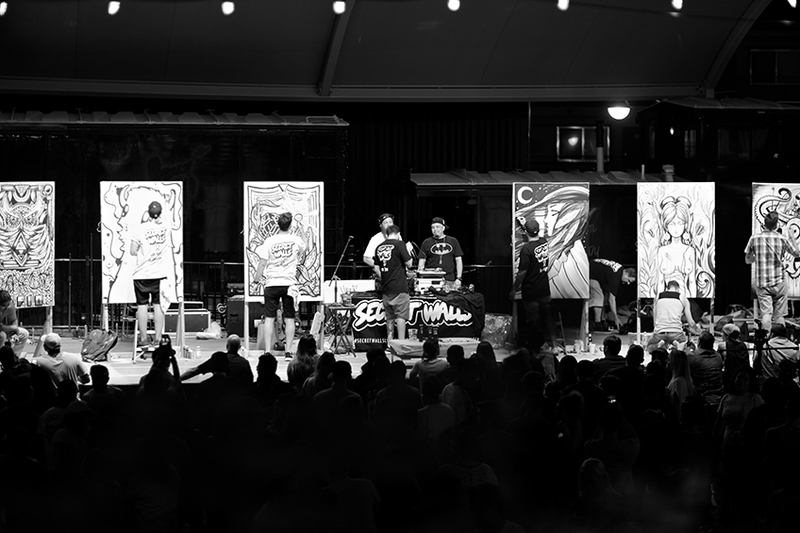 Painting LIVE is sometimes a little nerve wrecking, being up on stage in front of so many people can get your stomach turning at times, not to mention you cant really prepare..meaning no sketching, no reference and literally just free styling a very large original painting in 90 minutes flat. 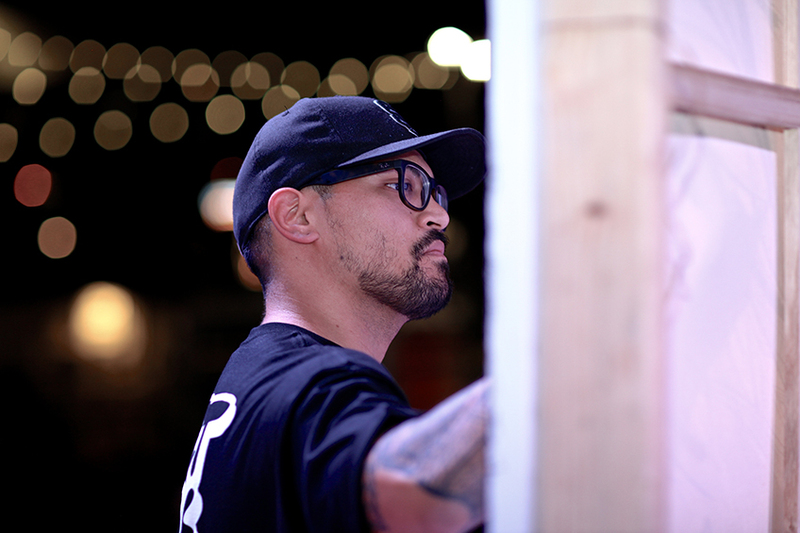 Las Vegas has brought out some of its best underground and well known local artists to compete for the crown in this rad event. The artist bracket is now down to ONLY 3 guys. 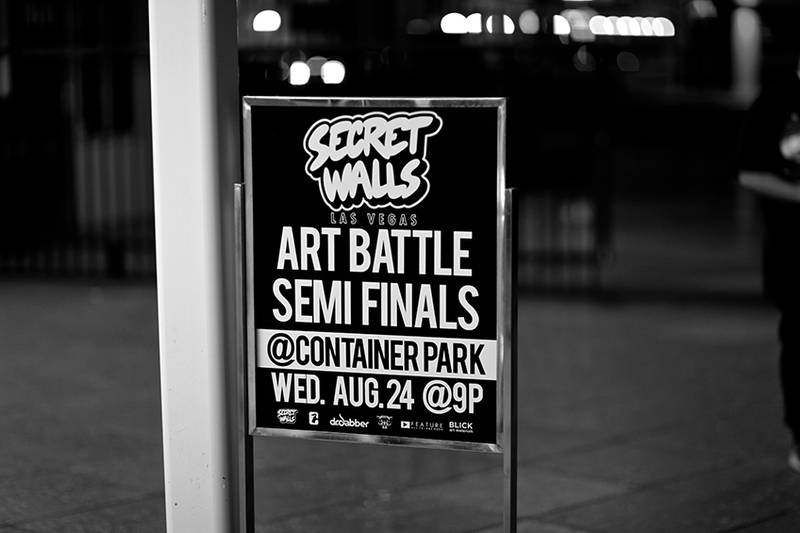 The Semi Finals took place Wednesday August 24th at The Container Park in Downtown Las Vegas late that night. Finishing up around 11:30 pm the crowd was asked to cheer for their favorite artists one by one collecting a reading for the LOUDEST group screaming for their favorite artist. 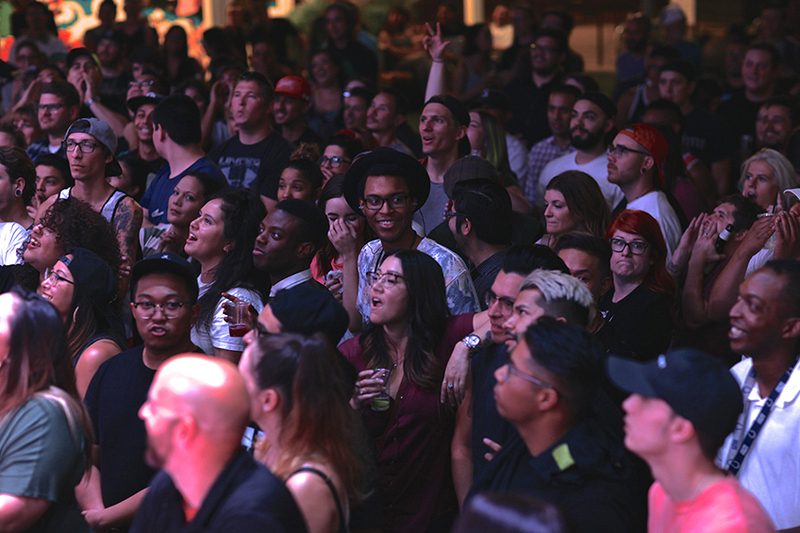 After 6 different super loud ongoing group yelling bouts, they reached a final count and slowly announced the winners…for 3rd place at blah blah blah decibles….AUSTIN SPENCER!! Yup. I barely squeezed in the Final Round, but I’ll totally take it. 2nd Place was taking by Ryan Brunty and the final and most important spot, 1st PLACE was savagely taken by the one and only Tyson “Savage Son” Tamaoe!! Unfortunately our MOST TALENTED buddy Mike Biggs somehow got bamboozled out of his spot. I call technical difficulties..or suspect activity ha ha. 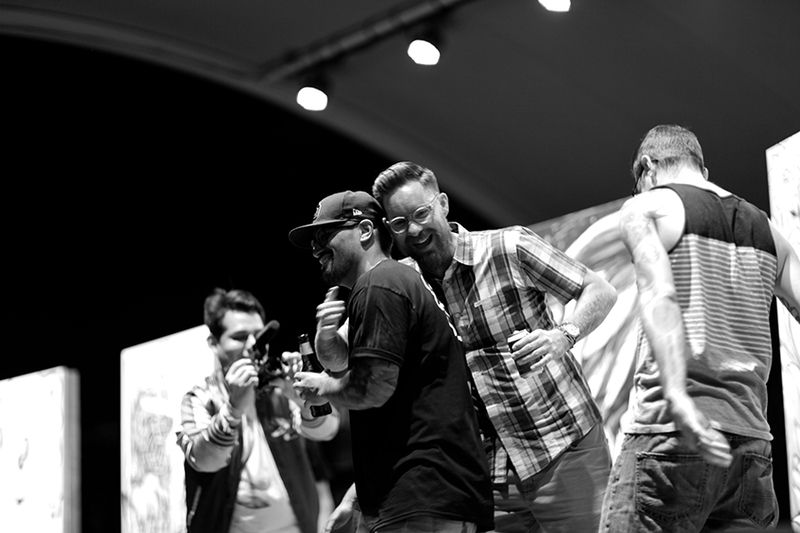 In my mind Mike won that night, selling his painting for 3X what our painting sold for..next time buddy! Your the man Mike Biggs! 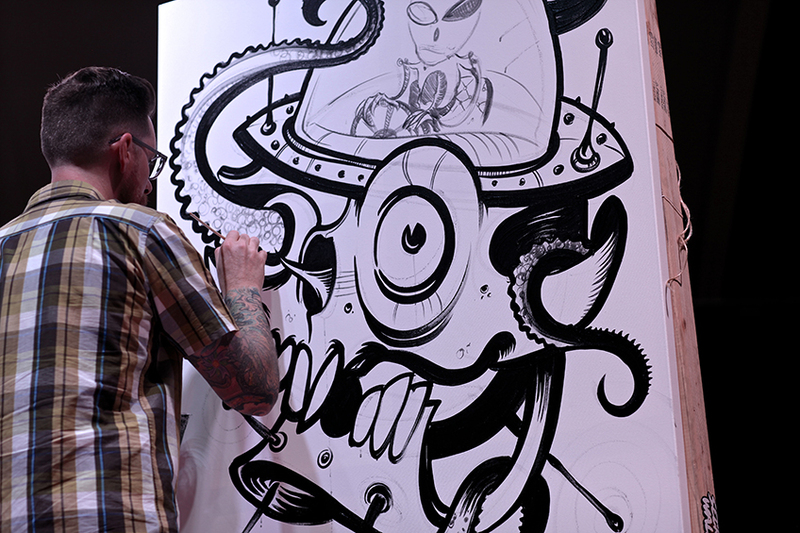 Studio 21 tattoo took the 1st and 2nd spot once again hitting it hard and solidifying 2 spots in the FINAL ROUND. Can’t wait. Be sure to be there and support the crew! It will be a damn good time.